Somehow I missed the other dry goods vendor. This guy has been seen hanging around club events for years and is always dragging around a big cooler. Once he even had a deep freezer strapped to a hand truck! I think he has an addiction problem! He's a great resource for frozen foods and dry foods alike! Please welcome to the show. 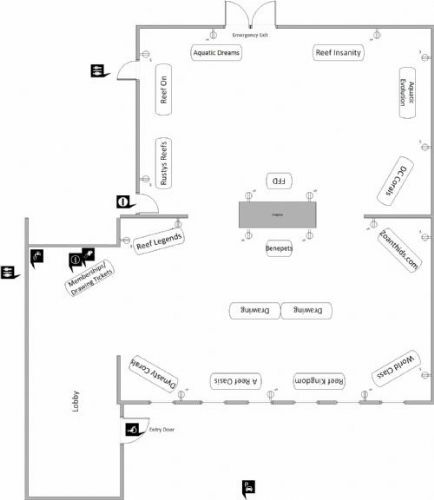 Here is the layout and vendor location map for Spring Fragstock. Are you getting excited yet? Look at those vendor names! We handed out these flyers for Frag Stock at the last meeting. An idea we had was to also post it here hoping that people could print it and post around town at your workplace, church, local fish store or anywhere you think people will see it. The more we advertise, then the more attendees we have. The more attendees we have, the easier it will be to get the vendors back for future Frag Stocks. We are just over two weeks away from this meeting and event! The vendors are all linedup, the locals are saving pennies for buying corals and some of the pictures of full frag tanks have been showing up. There is going to be a ton of coral at this meeting/event. Come ready to fill your tanks! Don't forget that as long as you are a paid WMAS Member, then you will get a discount at each of the vendors. All paid members will receive a wristband that will be used by the vendors to determine if you are eligible for the discount. Please be sure to check-in at the front desk to pick up your wristband if you are a member. If you aren't a member, you can purchase a membership at the meeting. Any vendors have sneak peaks of what they are bringing? We have had some showing on our Facebook group. Can you link the Facebook page please? I donâ€™t use Facebook. Two days away. Join us Thursday at 6:30pm at the Rose Garden. Hope to see you there. Also received raffle donations from Reed Mariculture. We will have over 50 raffles!!!!! You won't want to miss this event! What time should we get there and how much do memberships costs? We start early for this one, 630pm. My recommendation is be there right before the start, depends on if you are looking for that special coral or clam! Is there a way to buy memberships online ahead of fragstock? If you go to the "About us" section you be able to purchase a membership from there. 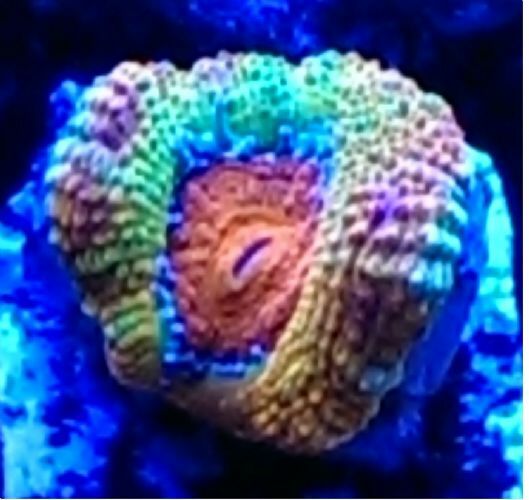 You can also go the the main web page at www.utahreefs.com and there is a link to purchase on the right hand side in the important links box. Iâ€™ve been on the forum for a long time and figured all of you guys have been so good to me with all the advice and help I should contribute back! Iâ€™ll be late. Around 7. Iâ€™m not sure Iâ€™m going to be able to make it tomorrow due to a family emergency. Anyone willing to pick up a couple frags for me dropping them off in Farmington?